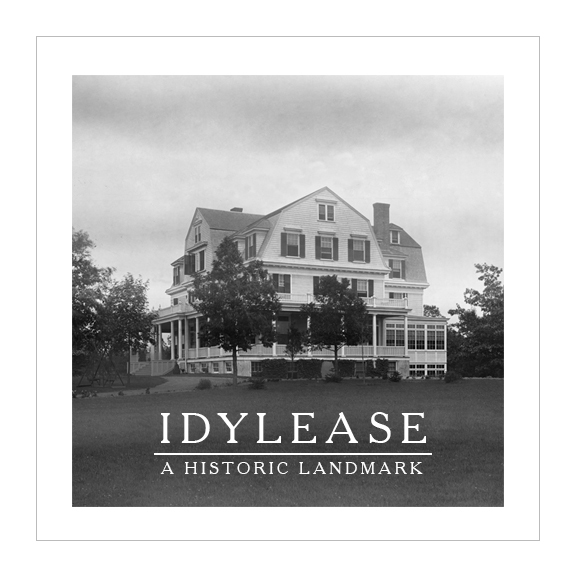 Idylease was frequented by many members of the Strait and Day family members since the Inn was opened in 1903 by Dr. Edgar A. Day. There are many accounts written in letters, postcards where they commented “went to Idylease to visit Edgar……or George……. or May”. One of the family members had been a nursing home patient at Idylease where she spent the last years of her life. She was my great Aunt Alice E. Crain. She had lead a very interesting productive life and I have many fond memories of her. 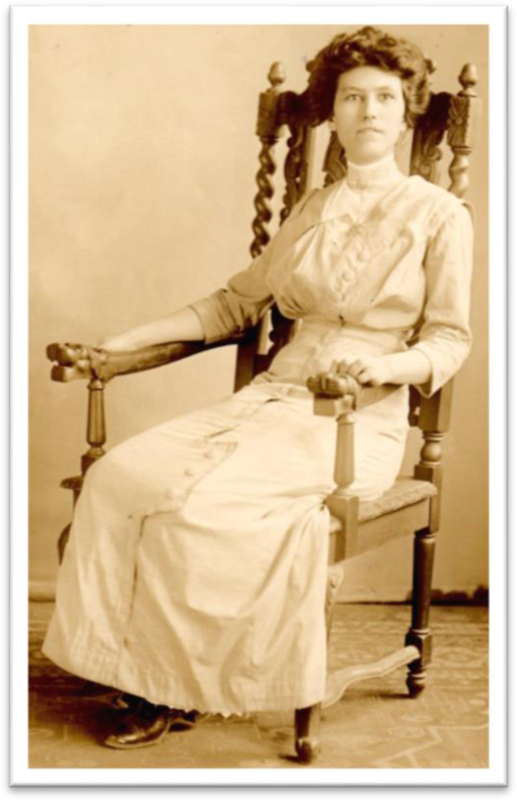 Alice Edith Crain was born July 22, 1884, the daughter of Amos B. Crain and Lydia Post Crain of Milton, Jefferson Township, Morris County. She had a sister, Malinda B. Crain, born Nov. 3,1891 who was my grandmother. 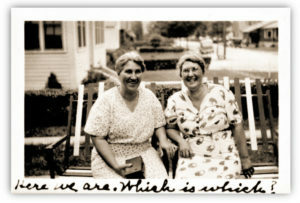 Alice and Malinda were devoted sisters for the rest of their lives. 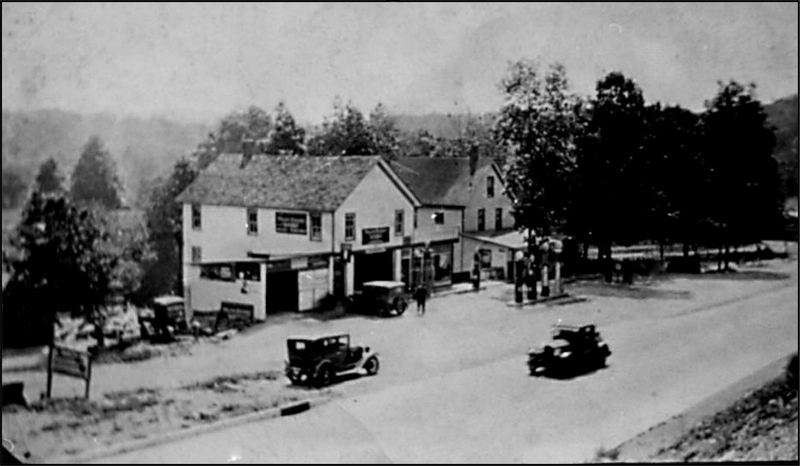 During the early 1900’s, Alice and Malinda were employed by their aging Aunt Martha Strait who resided in the family home located on the old Paterson-Hamburg Turnpike near the Sussex and Passaic County lines. Malinda was paid 50 cents a week to help Aunt Martha manage her household. Alice was also employed as a housekeeper and was paid $1.00 a week. Alice had earned more money than Malinda, as she had a goal to become a teacher. Her wages were to help pay for schooling at the East Stroudsburg Normal School in Pennsylvania where she graduated as a teacher on June 23, 1909. From the Crain Family Photograph Collection is this undated photograph of Alice E. Crain. Her dress is typical of the period of 1910, and I do believe that this photograph was taken at the time of her graduation. During her course of studies and after her graduation, she taught at various schools in the area. She remained at the home of her parents. Yet, often continued helping her Aunt Martha. 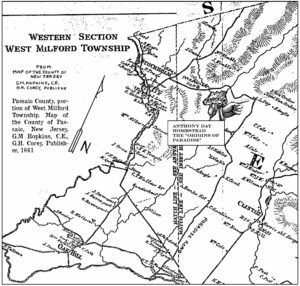 Malinda had married Aaron C. Willis, son of Joseph B. and Harriet DeGraw Willis of Silver Grove, Hardyston Township, Sussex County. They were married at the Strait homestead on Dec. 25, 1909. 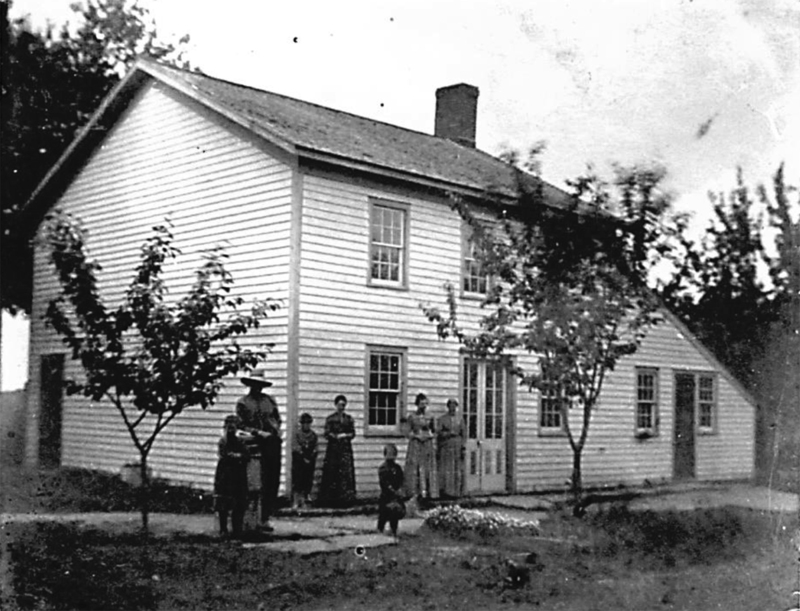 They made their first home upon the Strait homestead in what was called the summer house. Two children were born here, Ernest A. in 1910 and Robert G. in 1917. Alice became a frequent visitor doting upon her new nephews. Many pictures that were taken of the family between 1910 through 1918, were either taken by Alice or she appeared in them. From the Crain/Willis Family Photo Collection is an undated photograph taken at the Strait homestead. Motorcycles with sidecars were commonly used by the residents of Stockholm. Aaron unable to purchase an automobile, choose the motorcycle as his mode of transportation. 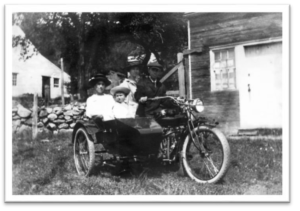 The sidecar was added to transport his family. Shown seated left to right: Alice E. Crain, Ernest, Malinda and Aaron. They were on their way to church services at the Stockholm Methodist Church where they were members. 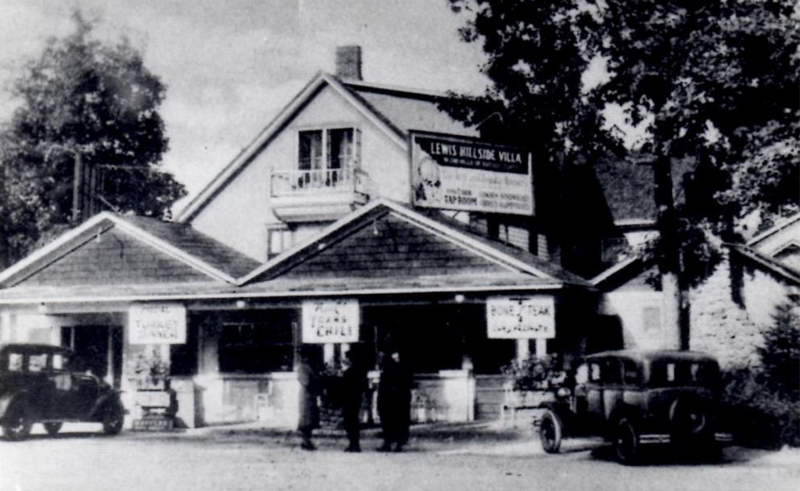 When Aaron and Malinda moved to Ogdensburg in 1918, Alice was a frequent visitor to their home, especially when a new nephew was born on Sept. 28, 1919, Ralph A. Willis who was my father. Uncle Ernie was the second member of our family to have acquired a college degree. 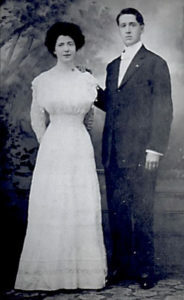 While in college he met Francesca Bezner to whom he married. They made their home in Cedartown, Georgia. Though they had no children, they became active in many cultural and civic organizations. 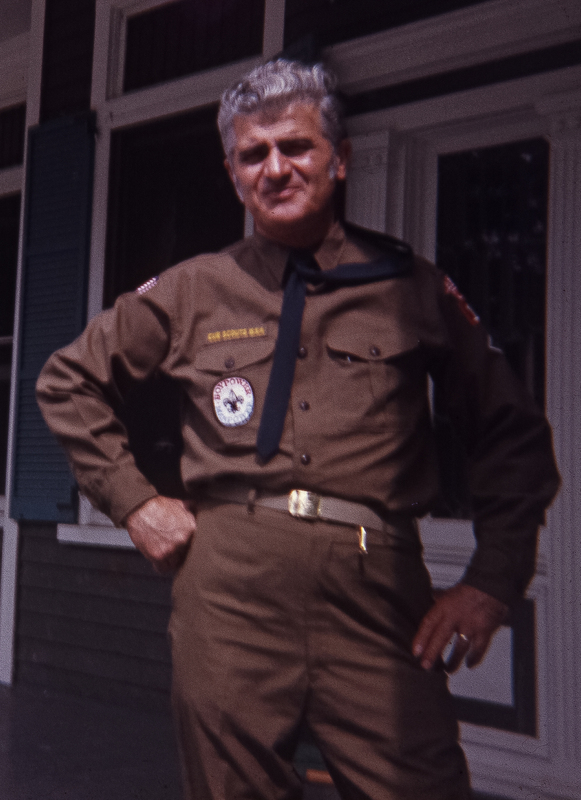 Uncle Ernie was also an avid photographer. At one time, he had borrowed my grandmother’s photo album and reproduced the photos in a 5 x 7-inch format and sent the album to Aunt Alice. She had added to the album early photographs of the students of the schools where she was a teacher, but did not indicate the name of the school. She also added several newspaper clippings as keepsakes. Alice had taught in various schools, including those in Bloomingdale and Butler. 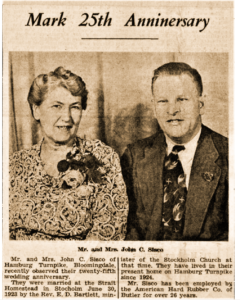 Much to the family’s amazement, Alice had married one of her pupils, John Sisco who was born Nov. 26, 1902, the son of Giles Sisco and Elizabeth Mowerson of Holland Mountain. As a young adult, I do recall listening to my grandmother’s recount of it, but paid little heed to it. However, in Aunt Alice’s photo album two items were of great interest. From a newspaper clipping dated June 30, 1923, is an announcement of their wedding. The name of Crane is the original spelling for this family. 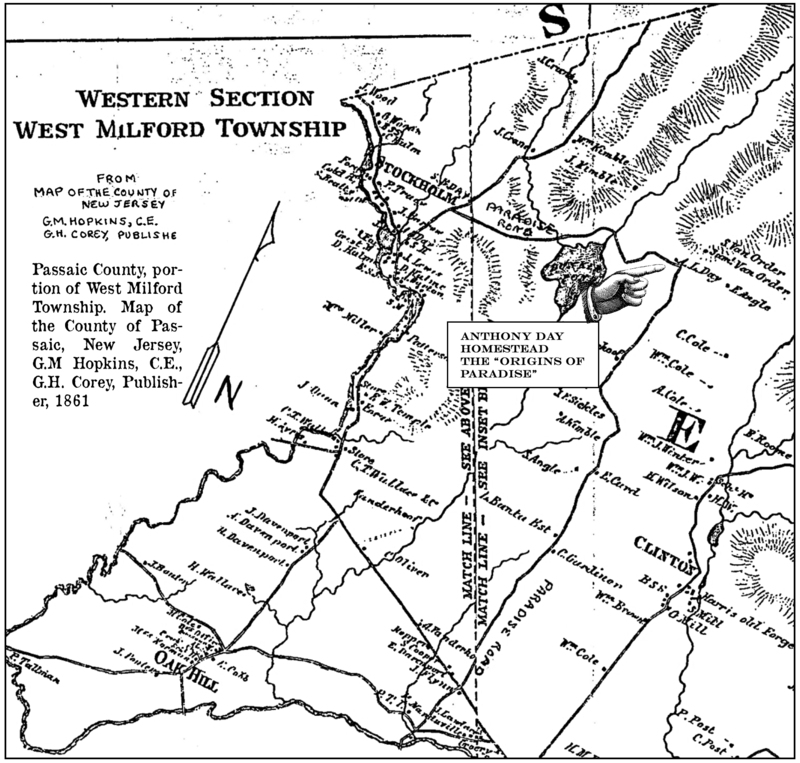 However, their grandfather James Crain of West Milford was illiterate, and when the census records were made, the census taker had spelled the name as Crain. This was the name used by all of James Crain and Mary Strait Crain descendants. From the Crain/Willis Photo Collection is an undated photograph of the wedding party. Standing left to right are: Tharp, age 36 who was mentally disabled, Alice’s brother; Amos B. Crain, age 70 and Lydia Post Crain, age 70, Alice’s parents; Bessie Sisco, John’s sister; and William Weston. 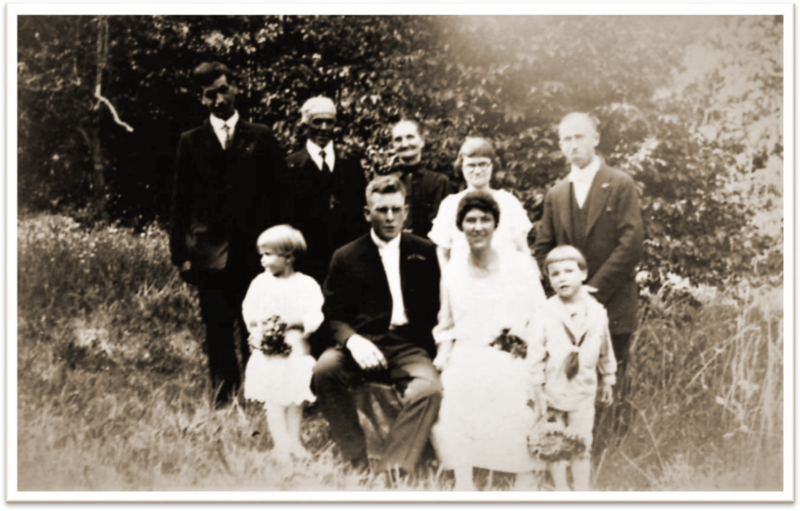 Front row, left to right, Gladys Sisco, John’s niece; John Sisco, groom, Alice Crain Sisco, bride and Robert Willis, son of Aaron and Malinda Willis. 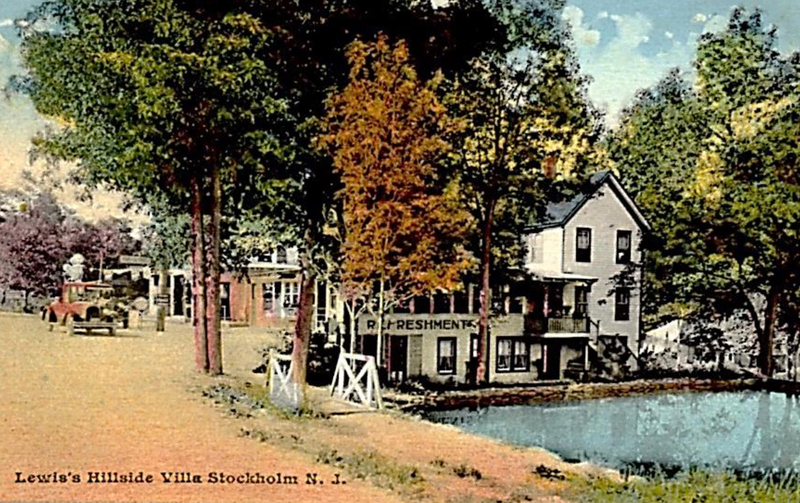 At that time, John Sisco had worked for the City of Newark, and they resided in Stockholm. Alice continued teaching school until she retired in 1924. Later, he worked for American Hard Rubber Company in Butler. They made their home in Bloomingdale. Here they celebrated their 25th Wedding anniversary on June 30, 1948. 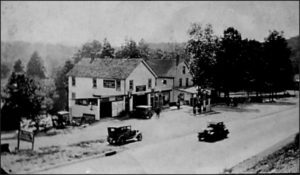 While pushing his car out of a snow bank, John died from a heart attack on Dec. 20, 1948 and was buried in the Milton Cemetery in Jefferson Township, Morris County. 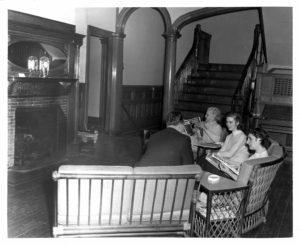 Alice was a grieving widow for many years, but became actively involved with the Methodist church in Bloomingdale and the Stockholm Methodist Church. When our family made the annual visits to my grandparent’s home in Ogdensburg, we often went to visit Aunt Alice. She was a robust woman who had a quick smile, a sparkle in her eyes, and a resounding laugh. Delighted to see her grand nieces and nephews, she always had milk and cookies ready for us. Then, we had to quietly retreat to a safe corner. I always choose one of the several rocking chairs in her home. It was made of sturdy pine, with a lattice back, and slated seat of a rich amber pine. The seat was low enough that I could point my toe on the floor to give a shove for rocking back and forth. This chair now sets on my front porch where I can relax, rock a bit and view the activities of the neighborhood. Much later, Aunt Alice developed a form of leukemia and became very sickly. My grandmother was not in good health as well. It was determined that Aunt Alice would sell her home. She chose to go to a nursing home which at one time was a joyous occasion for grandmother and Aunt Alice to visit when the Day family had owned the property. It was the Idylease Convalescent Nursing Home. On one of the family visits to my grandparents, grandmother had wanted our family to visit with Aunt Alice at Idylease. The occasion is still vivid in my mind. At that time, I was a very young teenager engaged in the pangs of growing up and was not interested in visiting this sickly elderly woman who grandmother spoke about with a broken heart. I only wanted to remember as a dear lively doting aunt. The ride to Newfoundland seemed long, and was crowded as seven people were in my father’s car. I sat in the back seat crammed against a window. But, as we drove along old Route 23, which at the time was a single lane winding road, the scenery was lit by bright sunshine with a sky of azure blue. There were occasions we could see a river, then a large span of water (Oak Ridge Reservoir). The rolling hills were richly covered with all kinds of trees, the leaves gently blowing in the wind. But, my mind wondered to my friends back home with whom I probably would be at the park on a swing. Soon, we came to turn off unto another Road, (Union Valley Road). Just another tree line road; and I was becoming bored. Then, I saw a large white mansion with many windows and a huge front porch which was rather appealing sitting on the rise of a sea of grass. As we drove up a wide long driveway the building became more impressive. Grandmother announced: “We are here”. 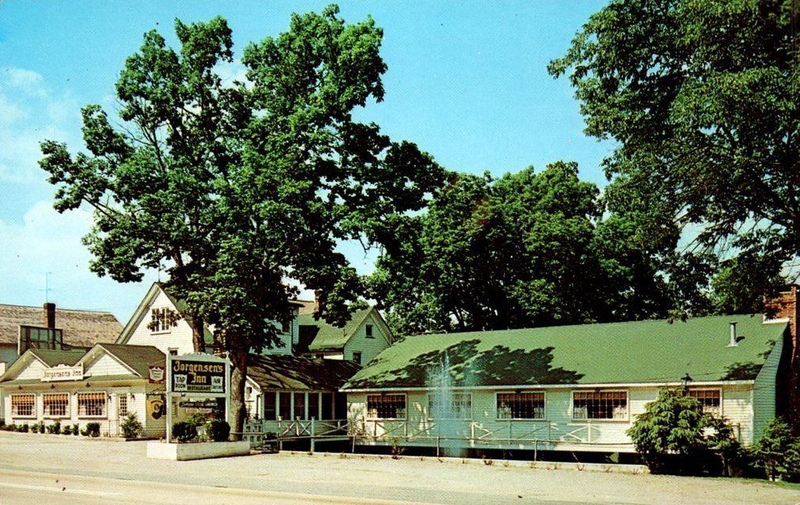 It was Idylease Inn. After we parked the car, we rose the wide steps, and stepped upon the longest front porch I had ever seen. After opening the glassed doorway which seemed to creak, we entered a small glassed lined entry way. Then, entered a larger room with several curved arches, the ceilings were quite tall. All around the room were rich brown wood trimmings; there were several comfortable chairs with some old people quietly reading books. Small tables topped with doilies and knickknacks adorned the room. Despite the large sunlit windows, it seemed dark and gloomy. The windows were open and a gentle breeze flowed through the room. As I walked behind the adults, I clicked the heels of my Mary Jane shoes on the wooden floor. A slight echo could be heard. Dad sharply turned around, and I immediately got a stern glare and a “no shake” of his head. My mother instantly reminded us that we “were to be seen and not heard, our manners to be politely at our best”. We then ascended a large staircase with wide railings which were smooth to touch of my hand by the years of constant use. There was a faint odor of pine oil wafting in the air. The woodwork had probably just been cleaned. As we approached Aunt Alice’s room, mother gave us the “silent signal”, lips pursed and a pointed finger over her lips. Much to my surprise, Aunt Alice was sitting up in bed, propped by a mound of pillows. There was a broad smile on her face, and a sparkle in her eyes. This was the Aunt Alice I had always remembered. She was delighted to see us, and asked several questions about “what have you been doing this summer….”. Then, a slight tug on my dress was given by mother. 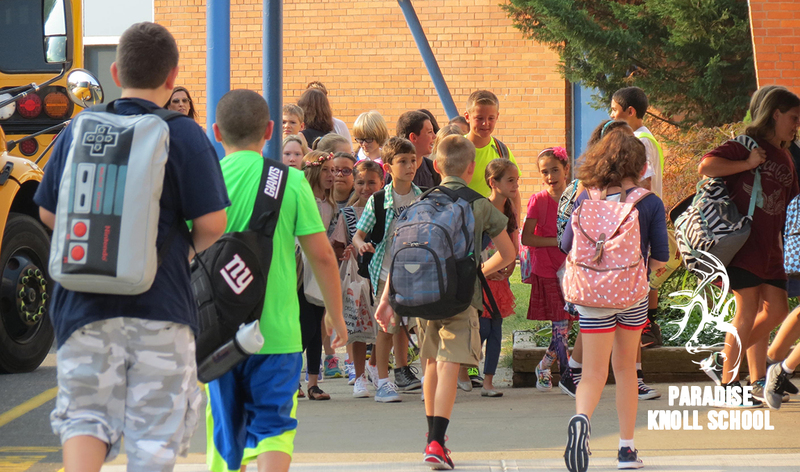 It was the signal to quietly retreat so that the adults could converse. After a while, the face of Aunt Alice changed. Grandma said Alice was tiring and we should let her rest. It was time for us to leave. Then, I saw the dark circles under her eyes. Yet, just before we left, she gave one last broad smile and a wave goodbye. This was the last time I saw Aunt Alice. 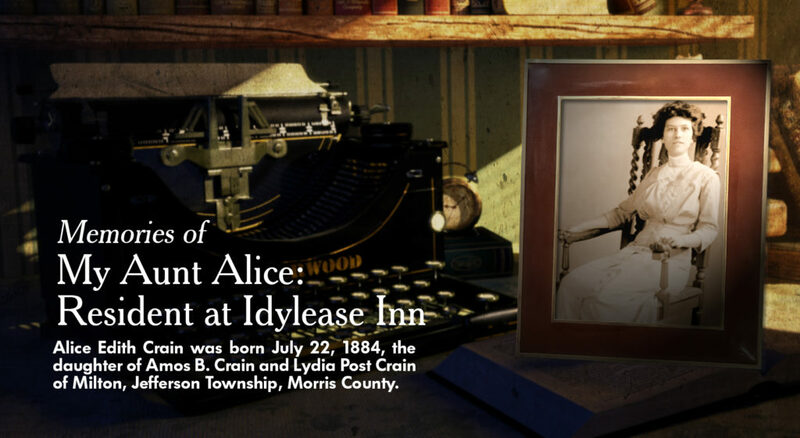 For several more years she remained at Idylease our family did not visit her as she became seriously ill. She died on Feb. 1, 1964. As it was winter, and we had several bad snowstorms that year, it was decided that we would not be able to attend her funeral. She was buried next to her beloved husband at the Milton cemetery. When I had moved to live with my grandfather, he had requested that every Memorial Day we go to the cemeteries to plant flowers at the foot of the family headstones. Grandpa always choose red geraniums which were one of my grandmother’s favorite plants as they lasted the longest and were of a bright cheerful color. As I helped him plant, he would recall some special memory he had of the loved ones we were honoring. For Aunt Alice, he always commented that she always had a “happy smile”. Indeed, it seemed fitting for her as I too remember her being a woman who had a long, productive life with a smiling face, sparkle in her eyes, and being a caring and loving aunt. 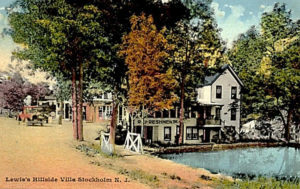 This Blogpost celebrates my beloved grandmother, Malinda B. Crain Willis and her loving sister, Alice Crain Sisco 7 Wausau Street, Ogdensburg, NJ. 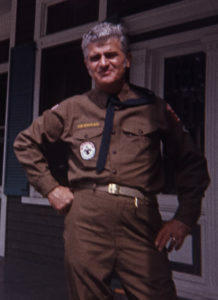 Photograph taken in 1942.